PAVOI's Handpicked Collection ultra-premium stud simulated shell pearl earrings are graceful and classic, adding an elegant touch to carry you from day to night. Crafted from the highest quality cultured freshwater pearls, each pair is as lustrous and stunning as the next. With multiple sizes and styles available, our exquisite pearl earrings are sure to become one of your staples. At PAVOI, quality is our top priority. 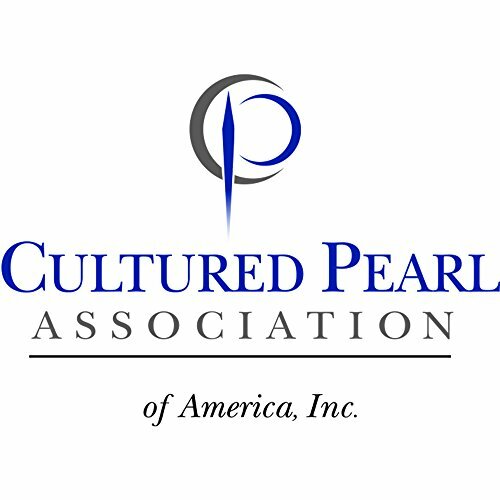 That's why each pair is meticulously hand selected and matched from thousands of top-grade AAA pearls, the best on the market. Our freshwater pearls feature a bright, rich luster with distinctive warmth. Their dazzling surface iridescence will not go unnoticed. They boast an ageless unique charm. Our bespoke pearls are mounted on 18k yellow or rhodium plated posts. With sizes ranging from 5-10mm, we tailor to all of our clients needs. 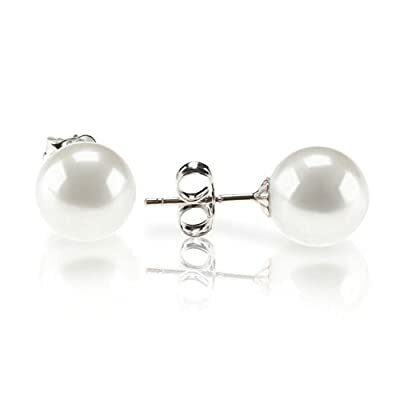 The smaller 5-6mm pearls are perfect for women who enjoy a delicate, understated look. 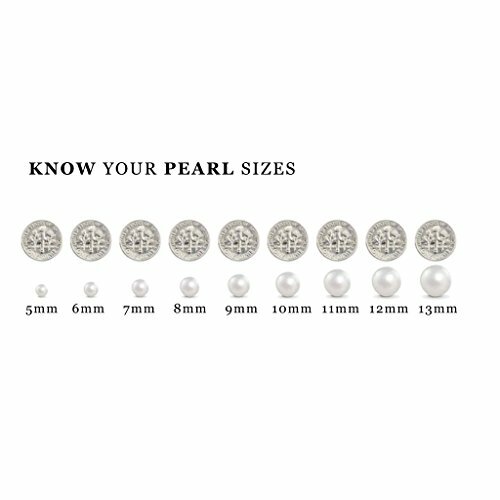 Our 7mm pearls are the most popular size, perfect for day-to-day style. 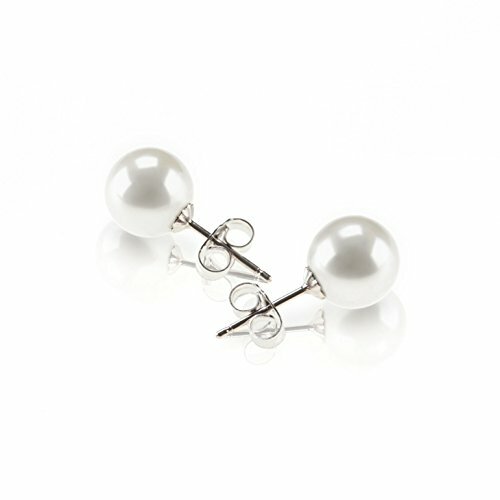 For women who like to make a statement with their jewelry, the 8.5mm pearls and above are ideal. PAVOI's core values are elegance, quality, and affordability. We strive to meet all of our customers needs and desires, within an attainable price range. Hypoallergenic Sterling Silver Rhodium Plated. Stamped 925 to meet guidelines. Simulated Shell pearls are lab created, made from Mother of Pearl. They are cut and shaped in round beads then they are covered with natural Nacre, giving them a brilliant glow. ?? THE PERFECT VALENTINES DAY GIFT ?? Whether its a birthday, holiday, a special occasion, or just because, jewelry is always the perfect gift. Packaged in a stunning suede pouch to ensure a smile on your loved ones face, this is an ideal purchase for Christmas, Hannukah, Mothers Day, Valentines Day, birthday gifts for her, or your Bridesmaids! ?? SATISFACTION GUARANTEED ?? Your happiness is our happiness! Our return and replace policy is easy- we refund/ we replace/ we exchange. Just check below for more details, and on how to contact us. Please check size reference images before ordering. ?? PROUDLY AMERICAN OWNED ?? We are an American owned and operated company! Please search PAVOI on Amazon for more of our designs!